The ocean is incredible: not only is it the origin of all life, it stores the most carbon, regulates the climate and provides us with every second breath. It is estimated that the ocean has absorbed over 90 percent of human induced global warming; without it, the global temperature would have already increased by more than 30 degrees celsius. A staggering fact, given the risks associated with just a two degree increase. The ocean provides food and livelihoods for billions of people around the world, and if it were an economy, it is estimated that it would be the seventh largest. The value of the ocean to the Irish economy was estimated at €1.97 billion in 2017, but as an island nation, the value to our culture and wellbeing is priceless. The ocean is an incredibly rich and dynamic ecosystem, about which we still know comparatively little – more people have been to the moon than to the deepest part of the ocean. But one thing we do know, is that if our exploitation is carefully managed, then the ocean can sustain countless benefits. But this is not our track record: pollution, overexploitation, acidification, marine litter are just a few of the ways we have been putting the ocean under pressure. In September 2019, the IPCC is scheduled to publish its report, Special Report on the Ocean and Cryosphere in a Changing Climate, which is expected to make explicit the critical role of the ocean with regard to climate, and the dangerous pressure we are putting it under. On Saturday after two weeks of negotiations COP24 concluded in Katowice. Ireland, along with other states, were negotiating renewed climate pledges, or Nationally Determined Contributions (NDcs), this despite the fact that Ireland is currently the worst performing EU member state on responding to climate change. We have much to do – but our commitment to the climate and the ocean goes beyond greenhouse gas emissions. Overfishing – catching more fish than can be naturally replaced- has the greatest single negative impact on the ocean, and we are addicted to it. Ninety percent of the big fish in the ocean have gone since 1950 – we have simply eaten them. And despite EU member states agreeing to an ambitious reform of the Common Fisheries Policy in 2013, the appetite for EU overfishing has continued. The UN’s Food and Agriculture Organisation estimates, “33.1 percent [of fish stocks globally] are being fished at biologically unsustainable levels”. In 2013, during Ireland’s Presidency of the EU, member states committed to ending overfishing by 2015, “where possible, and by 2020 at the latest”. As the 2020 deadline approaches there has been some reduction in overfishing but not enough. 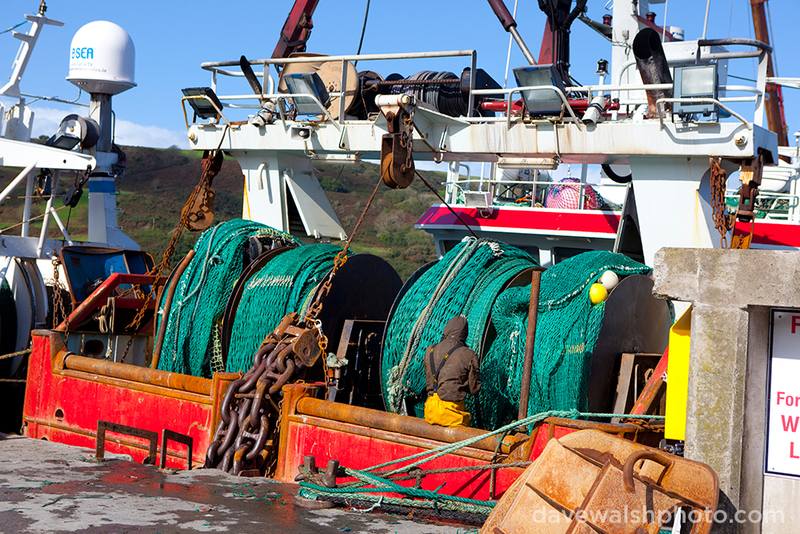 According to the New Economics Foundation’s Landing the Blame: Overfishing in the Atlantic 2018, the Total Allowable Catch (TACs) awarded to Ireland were 17.8 percent above scientific advice, in other words, it is overfishing. Since taking over from Simon Coveney as the minister with responsibility for fisheries, Minister for Agriculture, Food and the Marine, Michael Creed has presided over fishing limits which have continued overfishing to Ireland’s “benefit”. This overfishing has typically been celebrated as a “win” for Ireland on early morning radio programmes after theatrically long negotiations in Brussels. Just two weeks ago, Mr Creed celebrated an agreement on mackerel claiming it reflected, “the scientific advice”. The agreement reached is to catch 653,438 tonnes in 2019, whereas the scientific advice was to catch no more than 318,403 tonnes. This is overfishing; and it is putting unnecessary pressure on the ocean. The minister was even so brazen as to acknowledge the role played by the mackerel fishing sector, “As always, industry representatives, in particular, Sean O’Donoghue of the Killybegs Fishermen’s Organisation were extremely helpful to the Irish negotiating team”. I’m sure he was. So while Ireland is trying to recover its reputation on climate change in Katowice, today [Tuesday, December 18] the rubber meets the road as Mr Creed is representing us at the Fisheries Council in Brussels, also known as AGRIFISH. Any decision to continue overfishing in 2019 by ministers will not only minimise the chances of realising the 2020 Common Fisheries Policy commitment, it will be another needless assault on the health of the ocean and the long-term viability of the coastal communities which rely on it. Michael Creed may claim that to demand TACs in-line with scientific advice is politically too difficult. But just as Simon Coveney and other leaders made tough decisions in agreeing to an ambitious CFP reform, we now need the Minister and his colleagues to realise this ambition, and safeguard ocean health and the livelihoods it guarantees. Overfishing takes our breath away. There is no limit to ambition; but there is to the pressure the ocean can endure, and so we need to set responsible limits to the amount of fish we extract from it.